We all know very well that the tech giant Google’s, Google Maps is one of the leading services of the tech giant Google, which allows us to locate ourselves and get the exact location when we are in places that we do not know, or when we lost from our path without recognizing it. But, now according to the latest reports, the tech giant Google plans to put ads in its Maps app simply to keep it free. Google Maps is one of the leading services of the tech giant Google, which allows us to locate ourselves and get the exact location when we are in places that we do not know, or when we lost from our path without recognizing it. Hence, it is one of the most used and useful applications of the tech giant, which now also has very interesting additions such as the inclusion of data about the business, the opinion system or personalized routes. But, now the tech giant Google wants to turn it into a more profitable product, and for that reason, the tech giant Google would be thinking about introducing announcements in the application. As we all know very well that the US-based company, of course, the tech giant Google has been introducing advertising for some time in its Google Maps application, in a more or less subtle, but it already showing advertising so that the tech giant Google can get more benefits without making users pay for using their. According to the well-known media platform, of course, I am talking about Bloomberg, the tech giant Google could introduce more publicity in the form of recommendations sponsored in Google Maps, which, according to a well-known analyst, Morgan Stanley, is the least monetized application that the tech giant Google has, despite its large number of daily users. 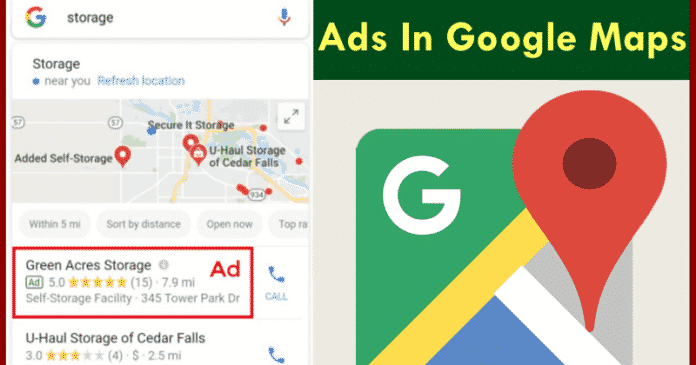 In all possibility, monetizing Maps even more will be a complicated task for the tech giant Google, in which they will have to decide whether or not to increase the visual impact of this advertising on the interface of the map application, bearing in mind that perhaps an excessive presence of it could simply push users to use other map applications. However, currently, the service is receiving improvements in its mobile application, such as showing the hours of the shops or the speed limits of the roads in some states, and a subtle increase in advertising could not be lowered upon by users who do not like to see advertising, but, we understand that it is one of the essential things for the tech giant Google to keep the product, of course, Google Maps free.